Zhangjiakou, Baoding And Langfang Have All Withdrawn Their Steel Production Capacity This Year! At 9 a.m. this morning, the second session of the 13th People's Congress of Hebei Province opened in the Hebei Hall of Shijiazhuang. Reporters learned from the conference that after the first "steel-free city" Baoding in Hebei Province, Zhangjiakou and Langfang will also realize the withdrawal of iron and steel production capacity this year. At the meeting, Xu Qin, governor of Hebei Province, presented a report on the work of the government to the General Assembly on behalf of the provincial government. 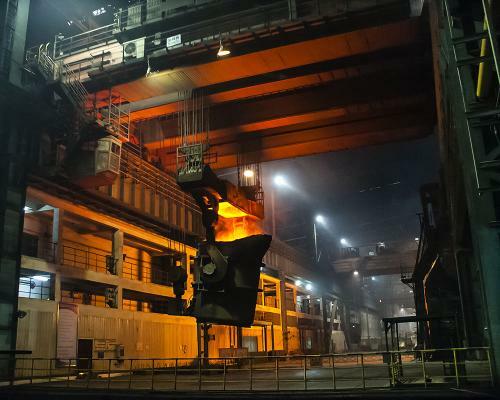 The report pointed out that in 2018, the province steadfastly went to production capacity, exceeded the annual capacity of six major industries, reduced the withdrawal of 12.3 million tons of steel-making capacity, 14.01 million tons of coal, 3.13 million tons of cement, 8.1 million weight boxes of flat glass, 5.17 million tons of coke, 550,000 kilowatts of thermal power, and all iron and steel "zombie enterprises" were cleared. This year, Hebei Province will resolutely eliminate excess capacity, strictly implement quality, environmental protection, energy consumption, safety and other standards, shut down small, promote big, keep good and press bad, and promote the transformation of total capacity to structure capacity. Within this year, it will reduce steel capacity by 14 million tons, coal capacity by 10 million tons, cement by 1 million tons, coke by 3 million tons, flat glass 6.6 million weight boxes, thermal power by 500,000 kilowatts, so as to realize Zhangjiakou, Zhangjiakou and Zhangjiakou. Langfang iron and steel production capacity withdrawal. The report also mentions that the ecological environment of the province has improved significantly in 2018. The energy consumption per unit GDP has decreased by about 4%. The emission of chemical oxygen demand, sulfur dioxide, ammonia nitrogen and nitrogen oxides has fulfilled the national targets and tasks. The proportion of surface water reaching or surpassing the three types of water quality sections in the province increased by 6.3 percentage points, and the forest coverage rate reached 34%. The average concentration of PM2.5 decreased by 14% in the whole province. This year, the main expected objectives of economic and social development in Hebei Province include forest coverage rate of 35%, average concentration of PM2.5 decreased by more than 5%, energy consumption of 10,000 yuan gross domestic product decreased by 3.6%, chemical oxygen demand, sulfur dioxide, ammonia nitrogen, nitrogen oxides emission reduction to achieve the national targets and tasks. KLS Metal Clad Materials Company is a dominant and professional provider in the field of Stainless Steel Plate in China. Our key product Stainless Steel Clad Plate has been able to help clients reduce costs and create value in heavy industries like oil and gas, chemical processing, Salt making, sea water desalinization, paper and pulp and electricity.